 Make it easy to navigate.  At a designing time make sure that it reflects what your user wants.  Build a modern and attractive look to your website.  Make sure you have clear headlines to capture readers` attention.  Be sure that your site response time is less and speed are fast.  Focus on color, images, text, backgrounds and ensure that fonts are easy to read.  Keep the simple navigation and ensure the page looks attractive and reads well  margins, spacing and landing pages.  Build friendly website and friendly URL structure.  Build HTML and XML site maps.  Avoid splash and flash menu.  Make sure that you optimize your site for tablet search and mobile.  Ensure that the copy is concise, relevant and clear.  Make sure that your content is proper and easy to understand.  Organize your content  date, time, location, topic, geography and target audience. Organizational integration becomes a success when building a website that works for your business. In integration also involves responsive web design, cross channel and social media. Social media also plays a role in website performance. If you just add a button to your site then it is important to integrate and link campaigns from Google+, Twitter, Facebook and LinkedIn. So, the above things play a vital role to make the successful modern web design and also it’s important to remember that site’s artistic design is ultimate for people. Most important things for successful modern web design are: design, usability, SEO, content and integration. 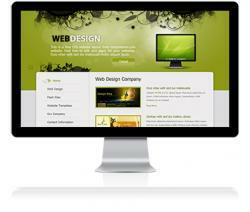 Through implementing these all things you can design attractive and best website.